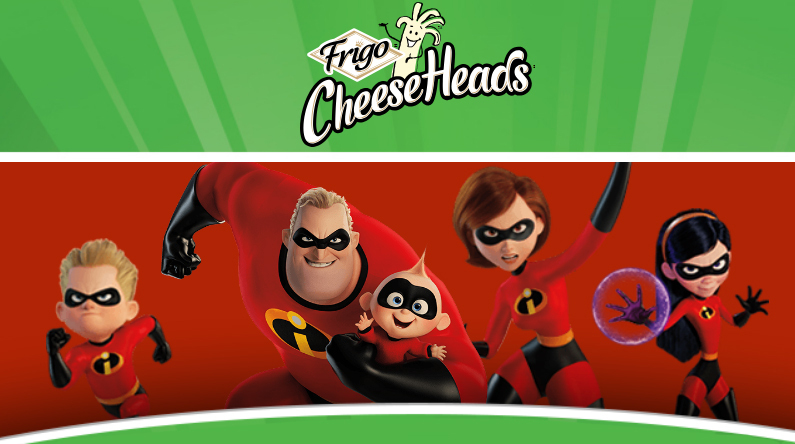 Play the Frigo Cheese Heads Incredibles2 Instant Win Game – 5 instant win prize will be given out each day plus there will be five $1,500 grand prize winners as well. Official Rules: US, 18+/age of majority. Begins on May 16 and ends on July 15, 2018. One entry per person per day. Anyone who has won a prize in any contest or sweepstakes sponsored by the Sponsor in the twelve months prior to the start of the Entry Period is ineligible. Each “day” starts at 12:00:01 AM ET and ends at 11:59:59 PM ET on each calendar day during the Entry Period except on May 16, 2018, which will start at 12:00:01 PM ET.